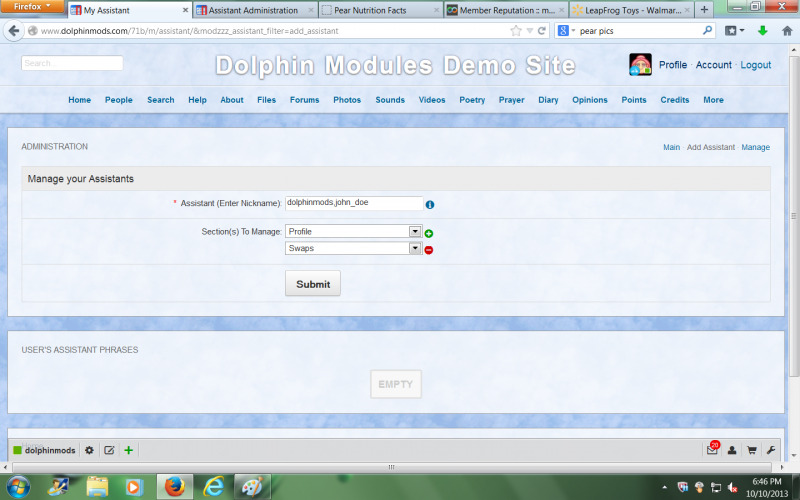 This allows members to give other persons access to control their Profile and modules with a Group like structure. This will not work with every module so it may be best to ask me before purchase if it will work with a specific third party module. 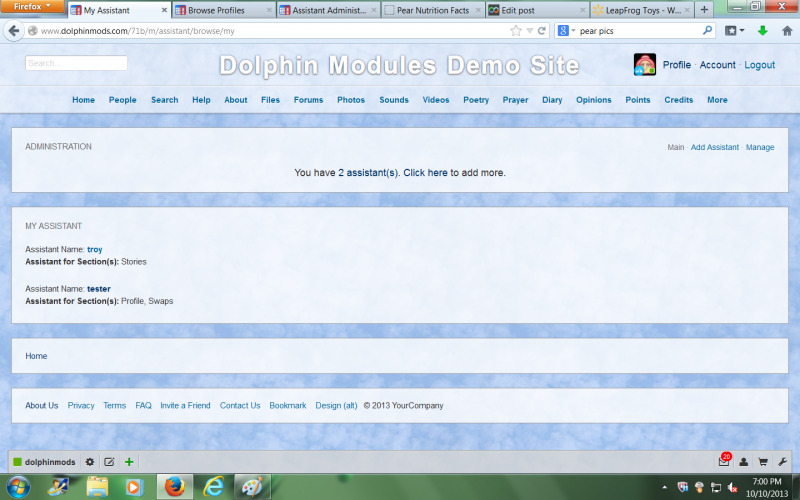 For default Dolphin, it works with Events, Groups and Store. 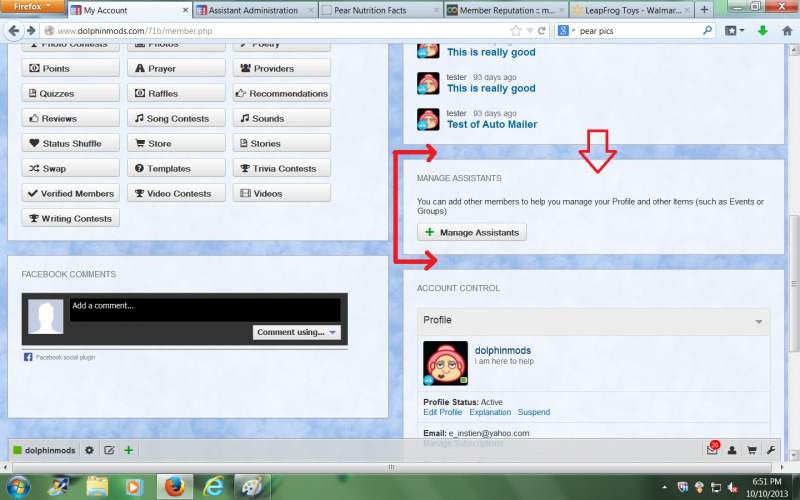 -> For Profile moderation, persons who are made as moderators will have access to edit/maintain the member's Profile. The module will flag the last update time and person who made an update. -> Ability to give one or multiple members control over the same item (eg. Multiple Persons can be added as moderator for the member's Store items). 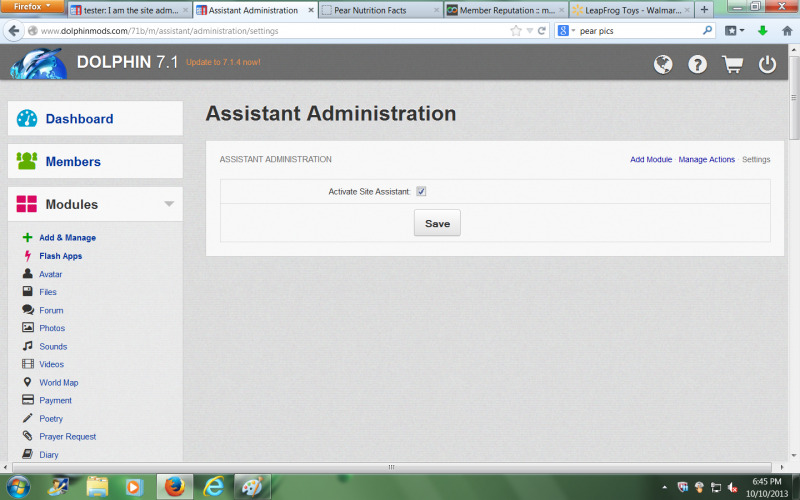 -> Administrator can dynamically add Modules to Site Assistant. For example, if you install a Property module, you can add it to the Site Assistant so that members can assign persons as moderators of their Property Listings. Groups - Members can add other persons as moderators of their Groups. Events - Members can add other persons as moderators of their Events. Store - Members can add other persons as moderators of their Store Items. When a member is added as a moderator for another member's items (such as Store items), the module will detect whenever a new item is uploaded and automatically add the member as moderator of that item too. Membership Level Access controls which members have the ability to use this feature. Therefore Administrator has the flexibility of reserving this feature for Premium Members only. 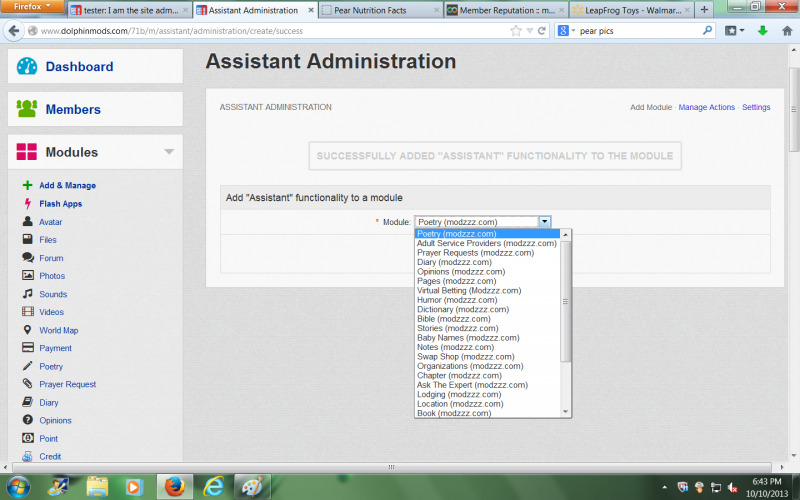 The Administrator can enable/disable "Assistant" functionality in modules. Sorry for the negative votig, but i cant vote positive. 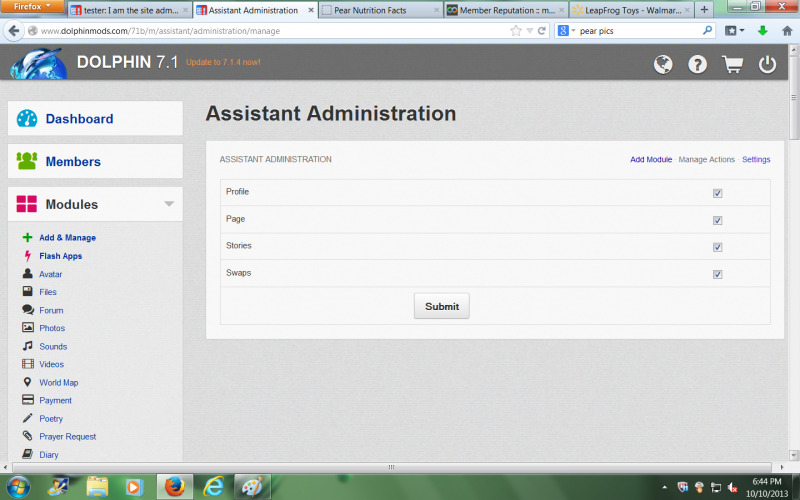 The Site Assistant allows only to manage the Profile and Groups. Other Modules are not working. you have to use othe Modules from the developer to make Site Assistant usefull. I have decided to deinstall Dolphin and make my owen Script. If i would make Dolphin to that what i need i would have to spent a lot of Money and Time. I wont buy any Module or Licens, its enough.